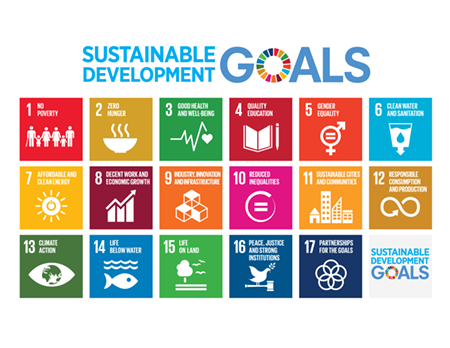 “As such, the mobilization and meaningful use of financial and non-financial resources are essential to accomplish our commitment to end poverty and to achieve Sustainable Development in its three dimensions,” according to the Group of 77. Speaking on behalf of the G77, joined by China, Carola Iniguez Zambrano, Under-Secretary of International Organizations of the Ministry of Foreign Affairs of Ecuador, told the ECOSOC Forum on Financing for Development (FfD) that in allocating development resources, priority should be given to areas that bear most directly on people’s livelihood and development of developing countries, such as poverty eradication, infrastructure development, health and education. She reiterated the need to strengthen international development cooperation and called for greater international cooperation to combat illicit financial flows, as well as to ensure the return of assets to the countries of origin in a timely manner, in line with domestic and international law. “We will continue promoting the upgrade of the Committee of Experts in Tax Matters to an intergovernmental body with experts representing their respective governments. We recognize the work of the Committee of Experts in Tax Matters and call on Member States, relevant organizations and other potential donors, to contribute generously to the Trust Fund for International Cooperation in Tax Matters to supplement regular budgetary resources, to enable the Committee to fulfil its mandate,” she told delegates. In this context, the Group recalled the importance of an equitable geographical distribution of members of the Committee of Experts, taking into account an increase in participation of members from developing countries. There is a need to improve the global economic governance and create an enabling international environment for development. “The international community should bear in mind the overarching goal of win-win cooperation and work to create a favorable external environment for developing countries”. Finally, she said, “we express serious concern at the lack of progress in the Doha Round of World Trade Organization (WTO) negotiations, particularly domestic support and market access issues of interest to developing countries and the efforts by some members to undermine the commitments contained in the Doha Development Agenda. The Group also remains committed to addressing climate change, recognizing that its Member States have been and continue to be the most affected by the adverse impacts of climate change, which erode development gains, thereby undermining and delaying the achievement of the goals under the 2030 Agenda for Sustainable Development. The Group has called for further climate action and predictable and sustainable support, taking into account the specific needs and special circumstances of developing countries, especially those particularly vulnerable to the adverse effects of climate change, as provided for in the Paris Agreement under the UNFCCC and other existing commitments under the convention.